No matter what you are selling, no matter who you are selling to, you need a social media presence. Why? 1. Because your customers are online. And so are your competitors. Facebook now has 1.06 billion active users and more than 50 million pages. Twitter now has 500 million users. YouTube? 1 billion users and 4 billion views per day. Think about it. Once upon a time, customers went window shopping. Today, they are web searching. And instead of telling one or two friends about a favorite brand of service, today’s consumers are broadcasting their preferences on Facebook (where the average user has 141 friends) and Twitter (where the average user has 208 followers.) That means that social media not only builds brand recognition; it turns your current customers into brand ambassadors. And every time they share your posts, follow your feed, or link to your content, your website gets a boost in search engine rankings for even more exposure. 2. Because social media starts a conversation. A traditional ad can only communicate one thing at one time. 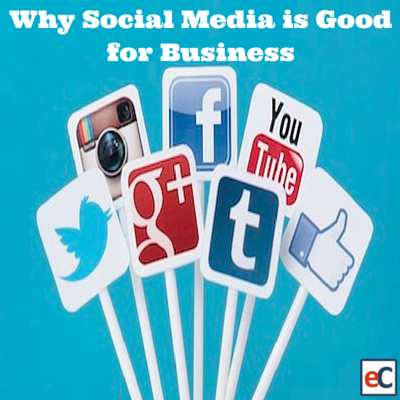 Social media allows you to reach out and engage your customers over time. It starts an ongoing conversation, so you can share your business ‘personality’, make your case for your product or service, and answer consumer questions. The goal is a direct and personal relationship that translates into a growing base of loyal customers and increased revenues. 3. Because it works – if it’s done right. According to a recent poll nearly 78 percent of small businesses said they gained at least a quarter of their new customers through online or social media channels in 2012. On the other hand, 58 percent said they were struggling with using social media successfully. That’s understandable. Navigating and managing numerous media channels can be overwhelming, and doing it successfully requires the right tools. By managing, tracking, and measuring all your pages and all your profiles in one easy-to-use place, it ends the struggle. And by showing you how your customers are engaging with you, which posts are generating the most buzz, and when your message is most effective, eClincher gives you the information you need to build a relationships with your customers, keep the conversation lively, and out perform the competition. In other words, to use social media successfully.